ICCEE2017 Keynote Speakers -- 2017 2nd International Conference on Civil and Environmental Engineering, Suzhou, China. The information about the Keynote Speakers of ICCEE2017 is as follows, which will be updated regularly. Biography: Dr. Kung-Chung Hsu received Ph.D. in Department of Chemical Engineering at The Penn State University, in 1985. He worked as a senior scientist in the R & D Department of China Steel Corp. in 1985-1990. 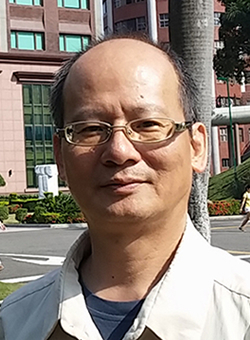 He was an Associated Professor in 1990-1996, and has been a professor in the Department of Chemistry of National Taiwan Normal University, Taipei, Taiwan, since 1996. 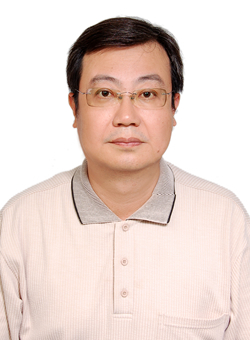 Dr. Hsu has research interests in (1) preparation and application of dispersing agents in ceramic materials, (2) preparation and development of superplasticizer and self-curing agents in concrete, and (3) preparation and application of nano powder and graphene/polymer composites. So far he has published more than 40 SCI papers and obtained over 20 patents. Abstract: Superplasticizers are essential chemical admixtures in improving the workability, mechanical strength, and other properties of concrete. Sulfonated naphthalene formaldehyde (SNF) condensates and sulfonated melamine formaldehyde condensates (SMF) are classified as superplasticizers of the first generation. These admixtures could greatly improve the workability of fresh concrete without segregation or bleeding. Carboxylate-based polymers with long, comb-type side chains (PCs) are classified as superplasticizers of the second generation. Compared to SNF or SMF, PCs offer less slump loss in the resulting fresh concrete. Up to now most chemical admixtures are anionic. In this presentation, an amphoteric copolymer was prepared and tested as novel admixture for cementitious materials. The results indicated that the presence of this copolymer could reduce the water demand so that the resulting mortars or concrete showed improved compressive strength, increased electrical resistance, and reduced length change. Especially, the slump-retaining property of the prepared polymer was found to be similar to that of PCs. Biography: Professor Chih-Huang Weng received his Ph.D. degree and Master degree in Environmental Engineering from The University of Delaware, USA. Currently, he is a faculty member in the Department of Civil and Ecological Engineering at I-Shou University, Kaohsiung, Taiwan. He has published more than 75 technical papers in SCI journal. He is also serving as an editorial board member of several academic journals. His research interests focus on using advanced oxidation processes, adsorption, and electrokineitc technologies for wastewater treatment and groundwater remediation. Abstract: Effluents from dyeing and textile industries are usually heavily colored with dyeing agents. Due to their synthetic origin and complex molecular structure, azo dyes are mostly non-biodegradable and persistent. Conventional biological processes are usually inadequate for the treatment of these chemicals to meet stringent effluent standards. Advanced oxidation processes have been shown to be promising in removing color from dye-laden wastewaters. This presentation summarizes the use of naturally-occurring Fe bearing minerals, such as biotite, tourmaline, and pyrite, for possible application in the initiation of persulfate oxidation and dye decolorization. The minerals function as catalysts in the breakdown of synthetic dyes through the production of active radicals from persulfate reactions. In this presentation, the persulfate activation process, and the synthesis of bimetallic based catalysts, as well as the granular activated carbon supported metal catalysts for the heterogeneous activation of peroxydisulfate are discussed. Performance of the mineral catalysts are compared with that of traditional catalysts such as ferrous iron, and zero valent iron. Since the minerals are abundantly available, they have great potentials for application in the treatment of dye-laden textile wastewaters. Therefore, a closer examination on the oxidation behaviors of these minerals is of great interest. The research can also bring about a new perspective on the use of Fe-based minerals in wastewater treatment. Copyright © 2016-2017 2nd International Conference on Civil and Environmental Engineering - All Rights Reserved.